Broken Crayons Still Color! This statement has been around for ages but it has a new meaning for the times that we are living in. Times where people are not certain if they can move forward and push past deeply rooted pain caused from childhood or young adulthood. I, like you, have gone through so much in life and am thankful to know that despite what we have gone through in this life, no matter how many trials we have had to endure, we can be assured to know that our broken crayons still color! God is faithful. 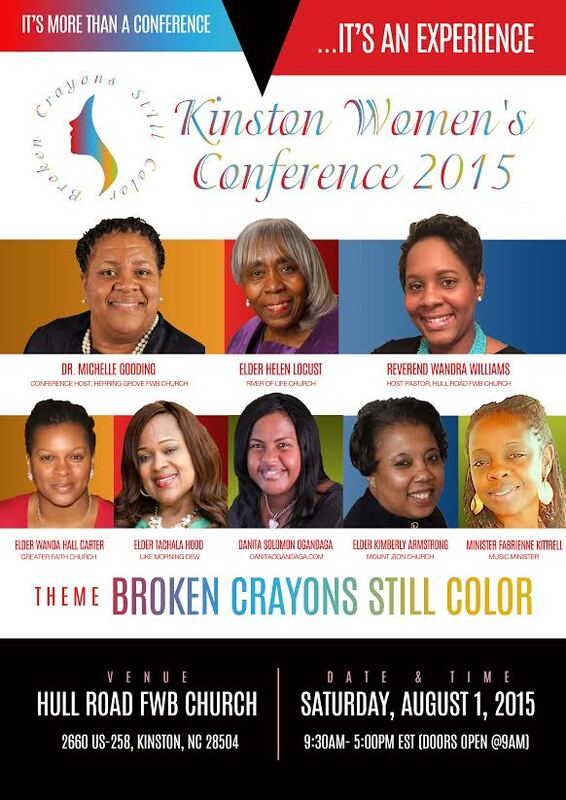 I am so pleased to be joining the speakers for this amazing experience taking place on August 1, 2015 in Kinston, North Carolina! I am sure if you were blessed to get your tickets before the event sold out after 4 days, then I will see you there. You are encouraged to stop by the Official Conference Page to see if additional tickets are available, hotel accommodations, and additional information about the conference. May God bless you and know that WHATEVER happened to you, your broken crayons still color!